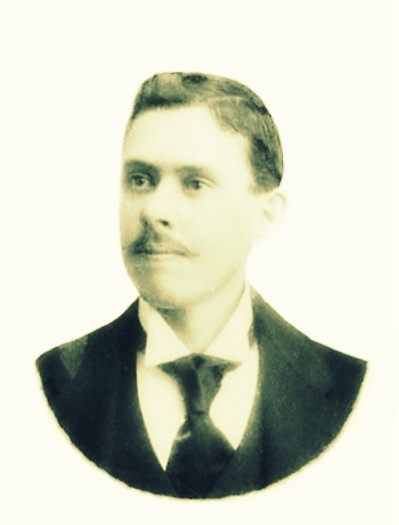 Jonathan Perry Knight was born in Ray’s Mill, GA. in Berrien County on March 14 1872. A son of John Graham Knight and Mary A. Davis, he was the middle of three children. His grandfather, Levi J. Knight, served as a major in the Indian War, a major-general in the state militia, and as a captain in the Confederate army. In his basic education Jonathan P. Knight attended the schools of Berrien County. When he was 16 he was presented with a prize by his teacher, W.L. Patton, “For Your Merit in School.” The prize was a book, “The Life of Daniel Webster“, which was to have a profound and lasting affect on the young man. Jonathan Perry Knight went on to study at North Georgia Agricultural College in Dahlonega, GA (now the University of North Georgia). The college was a military academy and military duty was obligatory for all male students over the age of 15. The cadets drilled daily in artillery, infantry and other exercises. Cadets on parade in front of North Georgia Agricultural College, 1894. Jonathan Perry Knight, of Rays Mill, GA attended the college around the late 1880s. It seems that the war was paramount in the minds of the Knights, as they expressed their patriotism by naming their new son Dewey Knight, in honor of the nation’s new naval hero. The couple had three additional children, Thelma, Jonathan, and Nell. As expected J.P. Knight did contend for the house seat, and his opponents in the short campaign were W.L. Kennon and H. K. Hutchinson of Adel. Ballots were cast on May 15, 1900 and a large voter turn out was reported for Berrien County. On the morning of May 16th, The Atlanta Constitution reported that Knight was elected to the Georgia General Assembly as the Representative from Berrien County. Representative Knight took to his new office with relish. During the passage of the Depot Bill, his sensibilities were apparently offended by the “lobbyism and the use of whiskey.” “J.P. Knight, being disgusted with the way things were going, sent to the speaker’s desk a privileged resolution to have the hall cleared of all save those entitled to seats, which when read by the speaker, was refused recognition.” Apparently, when it came to a question of whiskey, the other legislators didn’t see eye to eye with the freshman representative from Berrien. Later, Knight would write a letter charging that there was lobbying and outright “drunkeness” in the Georgia House of Representatives on the day the Depot Bill was passed. In a report filed from Tifton, GA, The Atlanta Constitution of March 4, 1902 announced that Knight would seek re-election. Among his expected opponents was Joseph A. Alexander, who had three years earlier represented Ray City murder defendant, J. T. Biggles. Knight was admitted to the Bar of Georgia in April of 1903, and began to practice law in Nashville, the courts of Georgia, and in Federal Court. In the Georgia state election of 1904, Knight put in for a third term in the term in the House of Representatives in the Georgia General Assembly. Challenging for the seat was C.W. Fulwood. With votes being cast on April 20th, the Atlanta Constitution called the election for the challenger, ” incomplete returns from one of the hardest fought campaigns ever held in Berrien indicate the election of C. W. Fulwood over J.P. Knight for representative by about 200 majority.” But the next day, with all votes counted Knight was declared the winner. That year J. P. Knight also served on a local Berrien county committee to solicit and collect funds for the construction of a monument to the confederate general John B. Gordon. Back in the Georgia Assembly for 1905, Knight served on several standing House Committees. “Knight of Berrien” served on the House standing Committees on Corporations, Education, Penitentiary, Immigration, Manufacturers, Blind Asylum, Auditing, and the Western and Atlantic Railroad. 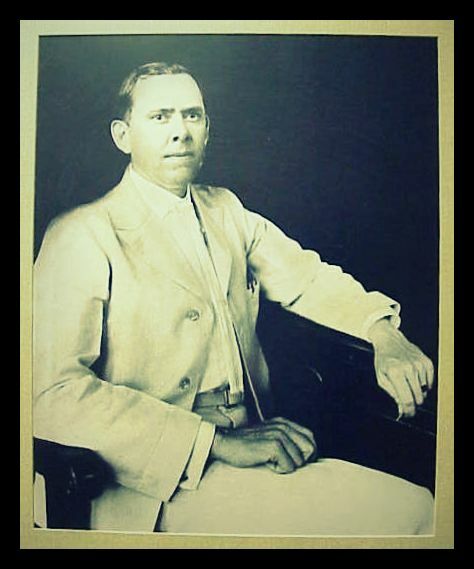 In 1907 J.P. Knight presided as Mayor of Nashville. He was a member of the state Democratic executive committee, and attended the committee meeting of April, 1908. In October he was back in Atlanta. Senator John P. Knight, of Berrien county, who figured prominently in the settlement of the convict lease legislation when that matter was before the state senate, was a visitor at the capitol Friday. He came on business connected with a pardon and was in consultation with both the members of the prison commission and the governor. In 1909 it was rumored in local politics reported in the Atlanta Constitution that he would run for Solicitor General of the Circuit Court in Nashville, a position being vacated by Will Thomas in a bid for the judgeship of the court. Nashville, Ga., Oct. 1 Hon J.P. Knight, who has represented Berrien county in the lower house and in the state senate, is very ill at his home in Nashville. He was a Judge of the City Court of Nashville, Judge of Alapaha Judicial Circuit, and he served as Chairman of the Trustees of the City Schools of Nashville, GA for many years. He put his hat in the ring in 1910 to run for U.S. congressman for the Second Congressional District to fill out the unexpired term of the late James M. Griggs. He won the Berrien County vote by a landslide but it wasn’t enough to carry the district. Ada Parrish Knight died February 1913 in Berrien Co., Ga.
Jonathan Perry Knight again ran for state office and was elected the Berrien Representative to the Georgia Assembly for the 1915-1916 term. He returned again for the 1919-1920 term. In the 1920’s, Jonathan Perry Knight and his son, Dewey Knight, had a law practice together in Nashville. It was not unusual to see the law firm of Jno. P. and Dewey Knight mentioned in the legal advertisements in the Nashville Herald as representing the plaintiff in some divorce action, or offering to negotiate farm loans. In 1924 he returned to the bench to served out an unexpired term as Judge of the Superior Court, and later that year he was elected to a subsequent term serving until December 31,1928. Following the loss of his first wife Ada in 1914 J. P. Knight married again, to Gladys Brooks. They had one son, Jack Knight, who served as an Air Force Colonel. Jon P. Knight died December 28, 1953. Cite: Georgia. (1927). Georgia’s official register. Atlanta: The Dept. ].pg 117-118SUPERIOR COURTSALAPAHA CIRCUITJONATHAN PERRY KNIGHT, Nashville, Judge. Born Mch. 14, 1872 at Rays Mill, Berrien Co., Ga. Son of John Graham Knight (born June 23, 1832 in Berrien Co., Ga.; lived at Rays Mill, Ga.; served the four years of the War Between the States in Stonewall Jackson’s Corps; died May 8, 1908) and Mary (Davis) Knight (born near Tallahassee, Leon Co., Fla.; died Sep. 19,1902). 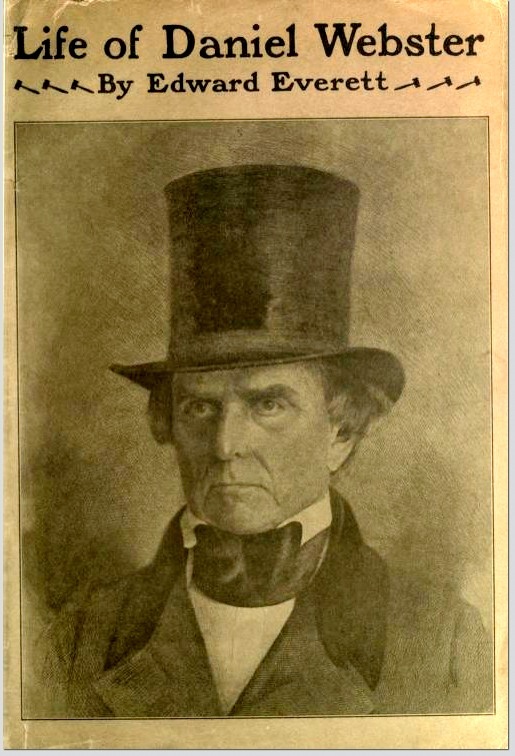 Grandson of Levi J. Knight (born Sep. 1, 1803; senator. Lowndes Co.. 1832, 1834, 1837, 1838, 1839, 1840, 1853/54, 1855/56; senator, 5th Dist., 1851/52; member. Constitutional Convention 1868; major-general, 6th Div., Ga. Militia, Dec. 4, 1840-; died Feb. 23, 1870) and Ann D. Knight, and of James and Rena Davis, who lived near Valdosta, Ga.Educated in local schools. North Ga. Agr. College, and Mercer University (law course). Began the practice of law July 13, 1903 at Nashville, Ga.
Married (1) Nov. 3, 1896 Ada E. Parrish (Nov. 1880-Feb. 12, 1914), dau. of John A. Parrish; married (2) June 21, 1915 in Jacksonville, Fla.,Gladys Brooks (born Nov. 5, 1893). Children by first marriage: Dewey of Miami, Fla.; Thelma (Mrs. J. S. Upchurch), Thomasville, Ga.; Nell of Miami, Fla.; John of Miami, Fla.; by second marriage, one child. Jack, age 6 years.Baptist. Democrat. Clerk, Superior Court, Jan. 1, 1897-Oct. 20, 1900; member. House of Rep., Berrien Co., 1900-01, 1902-03-04, 1905-06. 1915-15 Ex.-16-17 Ex., 1919-20; senator, 6th Dist., 1907-08-08 Ex; chairman, board of education, Nashville, eight years; judge, Alapaha Cir. Oct. 21, 1924-date (term expires Jan. 1, 1929).